This is a basic differential amplifier. I thought about replacing the CE pair input with a CC-CC cascade pair, or a Darlington pair, but I don't think they have good frequency response. I don't really care about the gain, because I will use another stage for that purpose. You'll need to boot-strap the C_gate_drain of JFETs, to reach that Zin. 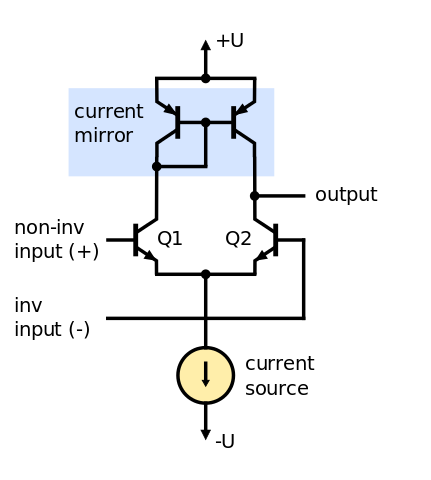 Hence the drain of the diffpair cannot be attached to any gain-node. Not the answer you're looking for? Browse other questions tagged amplifier integrated-circuit analog bjt circuit-design or ask your own question. Increase gain of electret microphone amplifier powered by aircraft radio?